No kidding. Silica gel packets are some of the most useful things you can have on hand during this time of year. That's because decorations, wreaths, lights, and artificial trees are vulnerable to moisture. They can all get stained or mildew while in storage. Which is where Silica gel packets can help. But Silica gel has lots of uses besides keeping your shoes dry. It's great for protecting things that you really want to keep safe from moisture. Take tree ornaments, for instance. Those precious glass bulbs that you got from your grandmother? Those can actually stain in humid weather. And the wonderful paper ornaments that your children made in kindergarten all those years ago? They're even more vulnerable. Think how awful it would be to bring them down from the attic, only to find them discolored and crumbled from the weather. Silica gel to the rescue! The first thing you need to do is get some Silica gel packets online from companies like SilicaGelPackets.com. How many you'll want will depend on how many decorations you have to store, but, as a general rule of thumb, assume that you'll want a handful of packets (say, at least four or five in the one gram to half gram size) per cubic foot or so of storage. A 10-gallon plastic storage box, like the ones you can find at large retailers, will hold about two cubic feet. When it comes time to take down your tree and decorations, pack your bulbs and photos and whatnot (not to mention your artificial tree) in whatever containers you use. Then, periodically, drop in your Silica gel packets. When you're done, seal up your boxes and put them away. You can rest assured that your ornaments and decorations will be safe from the hazards of normal humidity and dampness. Which brings us to another thing you don't want to have damaged by moisture: presents. Think of all those toys and electronic goodies you've stockpiled for Christmas morning. You probably have to put them someplace secret, like an attic or a basement, where curious youngsters won't discover them. 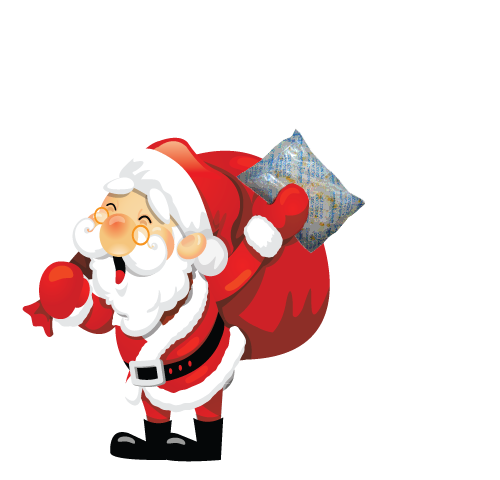 The problem, of course, is that attics and basements can get humid and may harm your presents even before they get under the tree. Again, it's Silica gel packs to the rescue. This time, when you're hiding and storing your presents, drop a few Silica gel packs around them. It may save you quite a lot of grief when your gifts are actually opened. So, there you have it. 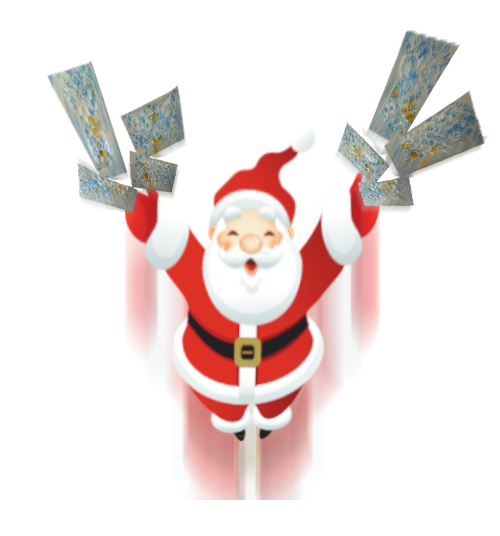 Silica gel and Old Saint Nick are a great combination. 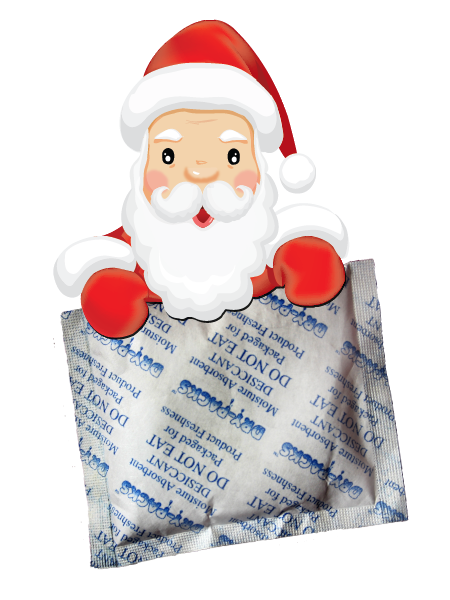 Next time the holiday season rolls into view make sure you have some silica gel packets on hand. Santa, quite a few elves, and maybe even a reindeer or two will thank you for it.